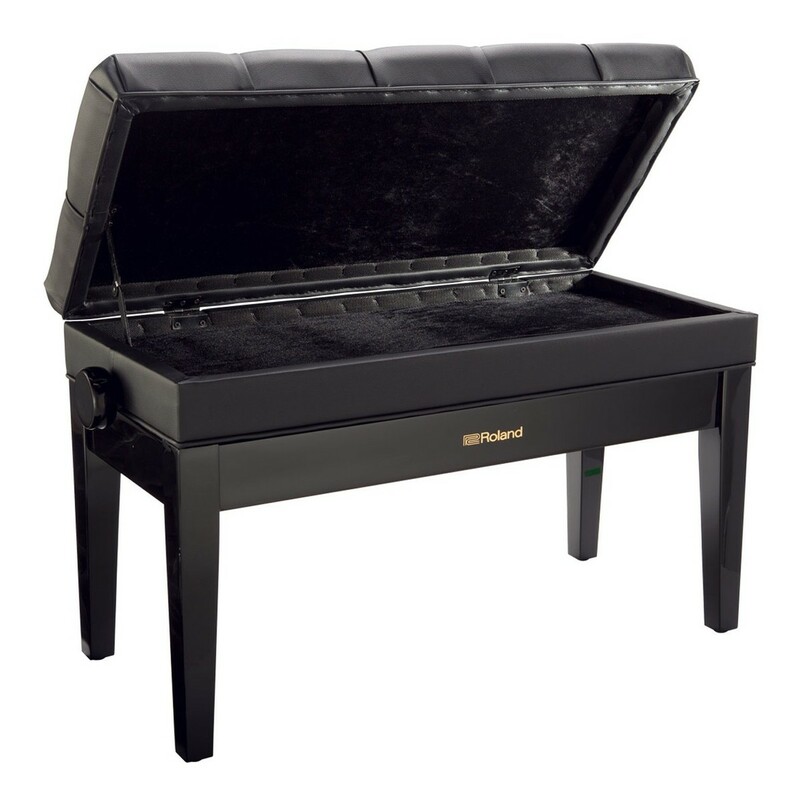 The Roland RPB-D500PE Piano Bench is wide enough for two people to sit comfortably which is ideal for accompanied playing. The RPB-D500's storage compartment fits sheet music and accessories. The solid wood frame has a durable construction that remains stable every performance. 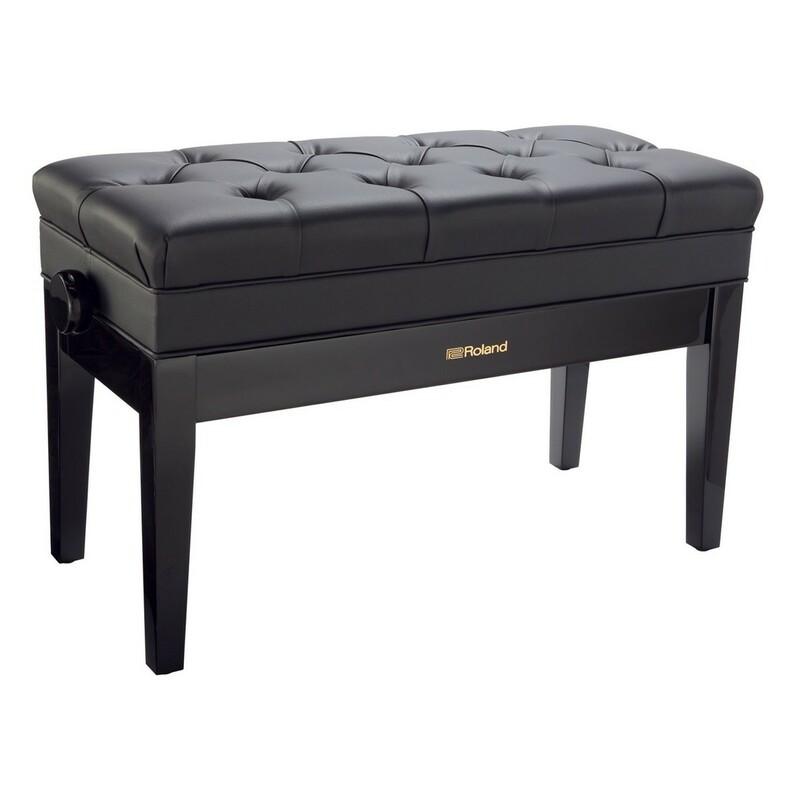 This model's extra padded cushion is comfortable and supports a proper playing posture. The RPB-D500 is height adjustable to suit all players.